An introductory course in the area of musculoskeletal disorders as encountered in sport and in the workplace. Materials covered include the mechanisms of injury, tissue biomechanics, pathology, assessment, treatment and prevention of acute and chronic trauma. Current evidence-based practices in diagnostic testing and treatment options will be addressed. Antirequisite(s): Health Sciences 3091B section 001 if taken in 2011. Prerequisite(s): Health Sciences 2300A/B or Health Sciences 2330A/B or Kinesiology 2222A/B or Anatomy and Cell Biology 2221. 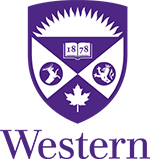 Pre-orCorequisite(s): Registration in a Rehabilitation Sciences mod or enrl in third or fourth year of the School of Health Studies or School of Kinesiology.